A band of school friends, The Donkeys evoke the nostalgic and sun-streaked sounds of The Band, Neil Young and The Rolling Stones. ‘Dolphin Center’ features on their 2008 album Living On The Other Side and shows how well they can craft laid-back country rock. Sam Sprague provides lead vocals, Anthony Lukens delivers the keyboard soundscape and Jessie Gulati stands out with that shuffling blues guitar solo. Undeniably, Buddy Holly hugely influenced the likes of The Beatles and The Rolling Stones. However, it is not the Chirping Crickets’ classic sound of ‘Not Fade Away’ or ‘Rave On’ that have stuck with me since those childhood car journeys; instead I find myself regularly humming ‘Raining in My Heart’. Overly orchestrated, it sounds like something the Everly Brothers would have put out – another one of my folks’ faves. It must be the bittersweet sentiment that saves it. Have a great week. What a way to end the week. We started with drums and we finish with one of the nastiest guitar licks to grace rock. ‘Can’t You Hear Me Knocking’ is off The Rolling Stones‘ classic Sticky Fingers. Keith Richards’ intro sets the tempo for all that follows: Jagger’s vocals that try to mimic the guitar work; Rocky Dijon’s congas that give respite; and Bobby Keys’ astonishing sax solo. Oh yeh. Have a great weekend. Aerosmith found their strut with their third album, Toys in the Attic, and proved they were more than Stones wannabes. The long player contains the riff-heavy classics ‘Toys in the Attic’ and ‘Walk This Way’. But it’s the album’s flip-side starter ‘Sweet Emotion’ that I select – Joe Perry’s bump-and-grind guitar and the promiscuity of Steve Tyler’s vocals makes for a some good-time rock and roll. Well, looking back on the year, there is not much more surprising than Damon Albarn producing a Bobby Womack record. The Bravest Man In The Universe was released in June. Womack claimed it was “the best thing I’ve ever done”. Perhaps not, but given the high bar, the statement is extraordinary nonetheless. This man was Sam Cooke’s backing guitarist for goodness sake. He also wrote and originally recorded The Rolling Stones’ first UK No. 1 hit, ‘It’s All Over Now’. ‘Please Forgive My Heart’ is off the album and marks Womack’s first original material since 1994. 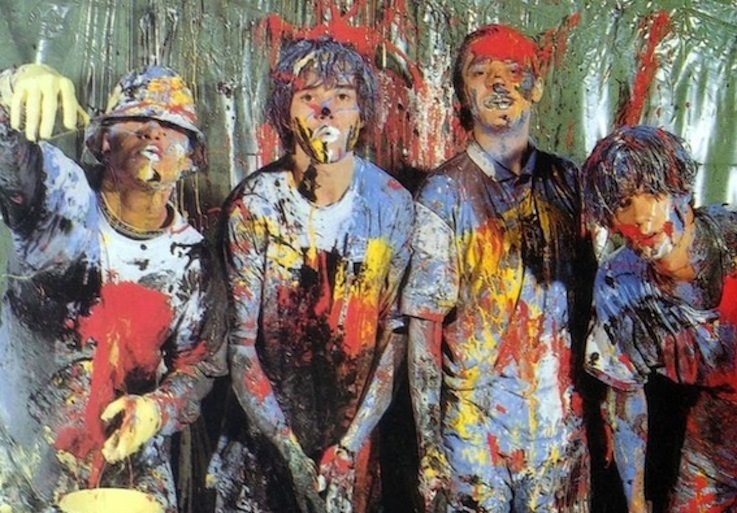 The Madchester scene of ’89/’90 was fuelled by rave, and so it was strange that the Stone Roses’ eponymous and ubiquitous debut was more indie rock than dance scene. Ian Brown was the front man of his time. He had the monkey-man look and the casual vocals down to a tee. But “I Am The Resurrection” is about John Squire – at just under 4 mins in, he goes into overdrive with layers of hypnotic, guitar rhythms that finish off one of the great albums. It was indie for the rave generation; and for those who enjoyed the musical references to The Rolling Stones.